Please contact The Vinyl Archivist directly and I will be happy to answer any specific questions you may have that were not covered here. Why do my records need to be cleaned? Every record, even if it looks clean, is likely soiled with a wide range of contaminants including dust, mold and mildew. Vinyl discs are also coated with sticky mold-release compounds during manufacturing. These contaminants stand between the groove and stylus, causing abrasive mistracking, resulting in unnecessary, excessive wear to the record. By interfering with proper groove tracing, dirty records produce inaccurate, noisy sound. Dirt, dust and grime in your record grooves doesn’t just wear out the record sooner – it adds unnecessary wear to your stylus. Pops and clicks can be caused by the stylus coming into contact with particles in the grooves obstructing the path. This causes wear to both the record and the stylus tip. Proper cleaning of your records not only preserves playback, but the investment you have made in your equipment as well. Ultrasonic cleaning functions on the principal of cavitation, where an ultrasonic frequency creates compression waves in the liquid of the tank which ‘tear’ the liquid apart, leaving behind many millions of microscopic ‘voids’ or ‘partial vacuum bubbles.’ These bubbles collapse with enormous energy, however, they are so small that they do no more than safely clean and remove surface dirt and contaminants. This allows the deepest of record grooves to be cleaned on a microscopic level where even the best record brushes cannot reach. Because of this extensive reach into the grooves, ultrasonic cleaning is considered by the majority of the hi-fi world to be the most effective individual form of vinyl cleaning. How does the Audio Desk Systeme work? The Audio Desk Systeme has been the industry standard in ultrasonic record cleaning since its introduction in 2009. It combines powerful ultrasonic cleaning and automated drying in one continuous session. The inserted disc is carefully rotated to submerge the bottom portion of the grooves, where the ultrasonic bubbling action takes place, keeping the label high and dry, safely above the water level. Audio Desk adds a surfactant into the mix to penetrate completely to the groove wall. Counter-rotating micro-fibre cleaning barrels and ultrasonic waves softly remove even deep-sitting dirt particles from the grooves of the LP. When in operation the machine permanently filters the cleaning fluid. Two extremely high-performance motors guarantee effective drying of the record, allowing for immediate storage in a sleeve to limit the clean disc’s exposure to the air. The act of Ultrasonic and Vacuum cleaning will not damage your records. There is one caveat I must mention considering that water is involved in the process: occasionally small drops of water will land on the record label during the cleaning process or when the drying fans first turn on. I do my best to spot dry these droplets when/if they do occur. IMPORTANT: warped records greatly increase the chance of water spilling onto the label. The squeegee wipers cannot evenly wipe the water off of the record surface. I treat records with museum quality care, but I cannot defy gravity or physics. If you are at all concerned with water getting on the label of your record, please do not send them for cleaning. It is a very small risk, but it is still there. How does Vacuum record cleaning work? A vacuum record cleaner such as one of the VPI models functions on a similar principal to your turntable. Placing the record on a platter, it is first cleaned by hand with a chemical cleaning fluid using specially designed micro-fiber record brushes that clean deep in the record’s grooves, dislodging particles such as dirt, dust and mold from the walls of the record groove. These are the contaminants that case surface noise during playback. The machine is then turned on and the platter rotates at 33 1/3 rpm. The vacuum wand (which is safely covered with a micro-fiber strip) is then lowered onto the surface of the record, sucking up the fluid and debris loosened from brushing as the record rotates. The force of the vacuum provides the strongest mechanical removal possible. Why use both vacuum and ultrasonic cleaning? Vacuum and ultrasonic methods are both highly effective at cleaning vinyl records, so why should you use both? From my own use and the advice of other long-time collectors, the best results on really dirty records have been with a combination of both methods. Chemical cleaning with enzymatic fluids and water rinse as the first stage helps to break down the caked in dirt particles for more effective removal. Ultrasonic cleaning gets deepest into the grooves with the safest and most powerful force to fully remove these particles. You are getting the best of both worlds for the utmost in clean vinyl. Will cleaning get rid of pops and clicks? This is unfortunately a difficult question to answer outright, as every record is different. Cleaning will get rid of pops, clicks and surface noise that is caused by physical debris in the record grooves, but a proper cleaning cannot perform miracles on already damaged records. Pops, clicks and skips from physical damage such as scratches, wear to the grooves or pressing defects cannot be repaired. As long as your records are in good physical condition, I can virtually guarantee you will be happy with what a cleaning can do for them. As you have leaned from the above entries I use a Audio Desk System ultrasonic record cleaner. My vacuum machine is a VPI HW-17, the original industry standard in high-use vacuum cleaning machines. I use Disc Doctor record brushes for fluid cleaning with the VPI, as I have found these superior to other brands such as MOFI. For an in-depth list with more information, please see the Equipment page. What cleaning fluids do you use? I have long been an ardent user of the Disc Doctor Miracle Record cleaner for all-purpose cleaning. I use Audio Intelligent Enzymatic Cleaner for the dirtiest of records. Can you clean 7 inch or 10 inch records too? Yes! I use Ultra Systems’ adapters to clean 7″ and 10″ records on the Audio Desk System. Please note though that I can only clean vinyl records – 78s, acetates and any other non-standard material will be damaged by ultrasonic and chemical cleaning. Please note: because of the adapters, these items are much more susceptible to water splashing. Keep this in mind if label preservation is more important to you than cleaning. Turnaround time for records is generally two weeks after the records arrive with me for orders of fifty records or less. Times may vary due to high volume, at which point I will give you an updated estimate. If you are also sending sleeves for Odor Abatement, please expect a minimum of three weeks turnaround time. How do I get my records to you? There are a few options for shipping your records to me. USPS Media Mail is the most affordable and convenient option, but takes the longest amount of time. Single-carrier shippers such as FedEx and UPS will be faster, but more expensive. Simply pack the records safely in a standard record mailer, or ensure their safety with one of my specially designed shipping boxes. When you place an order you will also receive an e-mail with instructions of where to send your records and a guide to packing them safely as well as a checklist to indicate which records are cleaned with each method. Is shipping records to The Vinyl Archivist included in the cost? Unfortunately, no. When you purchase cleaning through the shop the shipping price is only for me returning the records to you. Since the records do not start with me, it would be too difficult to coordinate. This way you can send the records to me at your own convenience. How do you send the records back to me? I will use the exact same packaging that you sent to me, unless there was any damage to the package in transit and it is no longer safe to use. Or of course if you purchase one of my custom shipping boxes, that will be the package you receive. What happens if the package is damaged in transit? I handle your records with the utmost care while they are in my possession, but I cannot account for what happens to them in transit. I highly recommend adding USPS insurance to any package containing records you value. I put a large amount of time and energy into packing safely and securely, but damage can still happen. Insured packages are generally handled better by the USPS as they know they will have to pay out if there is a claim. What is the best way to pack my records for safe shipping? First off, you must use a proper record mailer designed specifically for that purpose. I cannot emphasize this enough. You want a snug fit so that the records are not bouncing around inside the package. There should be cardboard stiffeners used at both the top and bottom of the stack of records. The records should also be in some sort of plastic sleeve; cardboard is not waterproof! For detailed instructions, please read the shipping guide I have created. Can I drop off my records with you? Yes! If you are in the New York City area I am happy to receive drop offs at my apartment instead of shipping. I am in the Jackson Heights neighborhood of Queens. I can also arrange for a drop off near my office in Chelsea. Please contact me first to arrange a convenient time. By default, the website is set to only accept domestic orders. Automatically calculating international shipping is too difficult based on pricing by region and different weight scales, and the ever-changing prices and stipulations of the USPS. I am happy to discuss custom orders for international customers, but please keep in mind the cost of shipping will be exponentially higher. Please contact me for a custom quote if you are interested. I believe in an individualized approach to every client’s cleaning needs as all records are not created equal, nor are they equally dirty. Send me an e-mail or a message using the form below to begin a personalized consultation, and we can work to determine what kind of a cleaning will best suit your needs. I strive to provide a singular service to each of my customers. After we determine the cleaning, I will send you an invoice via PayPal. Then pack your records and ship them to me for cleaning, and include this easy checklist. It’s as simple as that! All transactions through the shop or via invoice can be paid for via PayPal. Credit Cards are also accepted through Braintree. You can pay cash on delivery if dropping off your records in person. Yes.  I sell a selection of records via The Vinyl Archivist Catalogue Sales mailinglist. Click here for more info. You can also see my listings on Discogs and I will begin carrying select reissues and vintage records on this site in the near future. I have access to a variety of distributors including Forced Exposure and Light in the Attic. Looking for something specific? Send me a message and I will see if I can track it down for you. Please read the full Terms and Conditions here. I will safely handle your records as if they were my own while they are with me. There are some records that may not benefit from a cleaning and you might not hear much of a difference. Unfortunately it is not an exact science, so I cannot make any claims as to whether you will hear a difference. Are you worried about sending extremely valuable, irreplaceable records, either to be cleaned with the risk of water damaging the label, or travelling through the mail? If that is the case, I would advise you not to send them for cleaning. Sometimes the peace of mind is more important than a clean record. What are your legal policies? I have created this website to be as automated as possible to enable you to place orders at your convenience. To that end, I have a full-time job in addition to running The Vinyl Archivist. I do my best to respond to orders and inquiries as soon as possible. Please allow at least 24 hours for a response, but it will generally be well before then. As much as records are an all consuming passion, I do have a life that keeps me away from the internet at times.